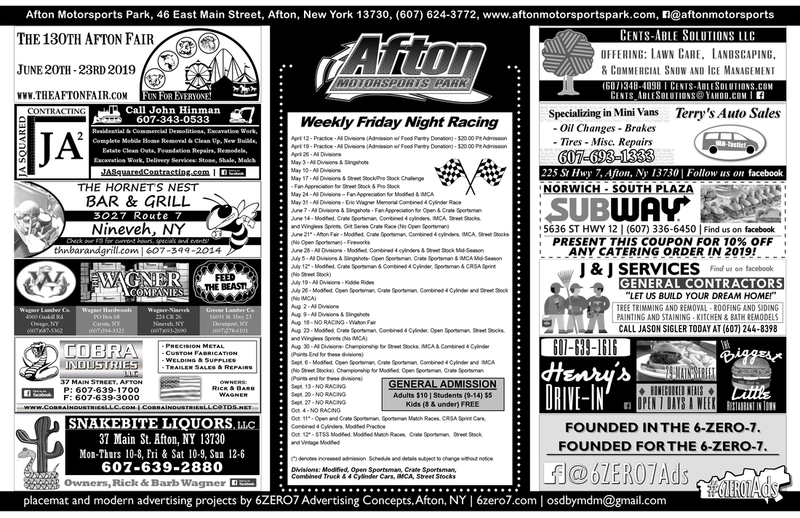 6ZERO7 Advertising Concepts works closely with AMP to help promote their Race Series held at the Afton Fairgrounds off I-88 Exit 7. 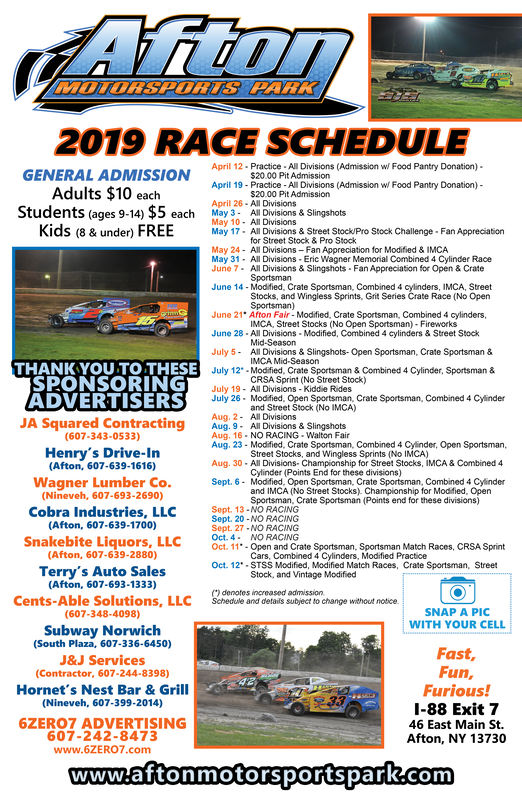 Providing Rack Card Schdules for trade shows and local distribution, 10,000 schedule placemats featuring local advertisers and 250 full color 17x11 Schedule Posters also recognizing our advertisers from the placemat project. AD SPECS $225.00 (renewing with same ad copy? ask about a $25 renewal discount) Color Text Listing on Posters and Black & White spaces on the 10,000 placemats at 5.25" width by 1.625" height.